When I first heard about this I wasn't sure how I felt about baked quark. It doesn't sound too appetising... However, after chatting with others in a Slimming World forum, I decided to give it go. I have to say, I was very impressed – it was quick, easy and very tasty. 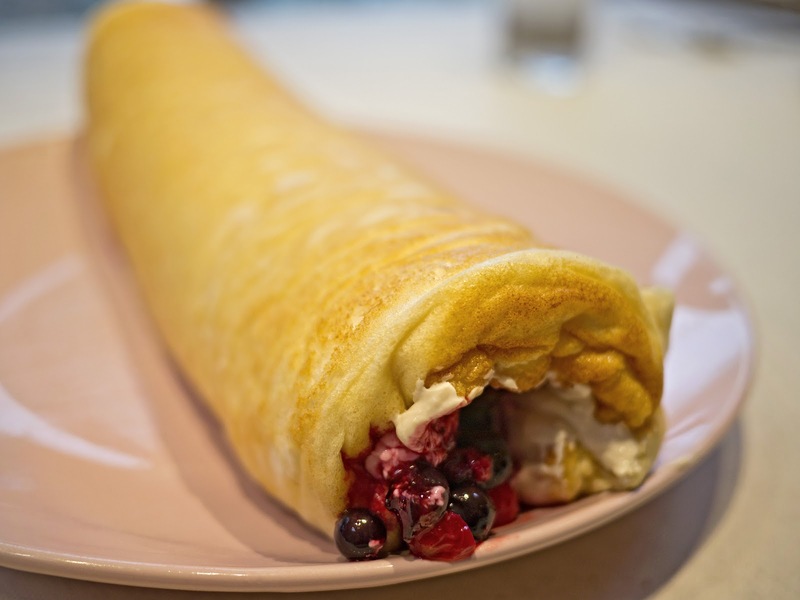 Mix together the egg yolks, baking powder, 1-2 tsp vanilla essence and half the tub of quark, using an electric whisk. In a separate clean bowl, using a clean whisk, whip the egg whites until firm. Whisk half the egg whites into the yolk mix, then carefully fold in the other half. 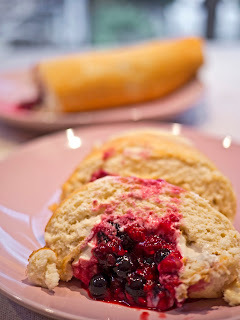 Line a Swiss Roll tin with baking paper and pour in the mixture. Bake at 180°C for 10-15 minutes, keeping an eye on it to ensure it doesn't burn. Remove from oven and leave to cool. Mix the other half of the quark with the sweetener and vanilla essence to taste. 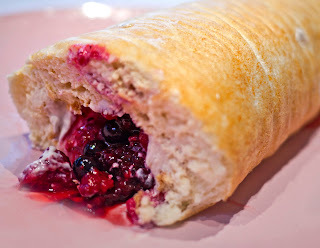 Spread over the roulade, cover with the fruit or berries (I used a frozen summer fruit mixture of raspberries, blackberries, blueberries, blackcurrants and redcurrants, thawed out first) and carefully roll up. I found this part a little difficult, as the cake was quite thick, so I think next time I will use a larger tin. There will definitely be a next time – we both thoroughly enjoyed it and it was almost syn free!